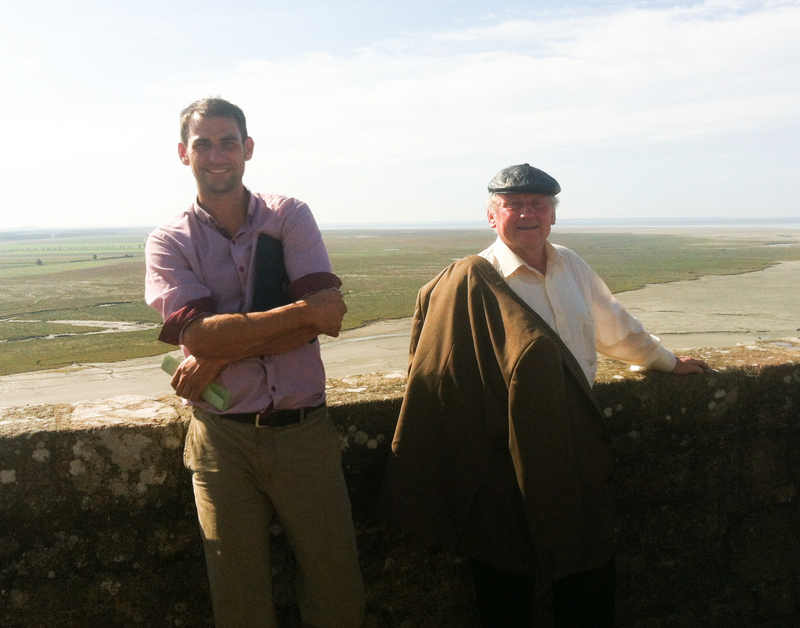 Phil and one of our owners Bernard Dolan on the top of the Mont St Michel! 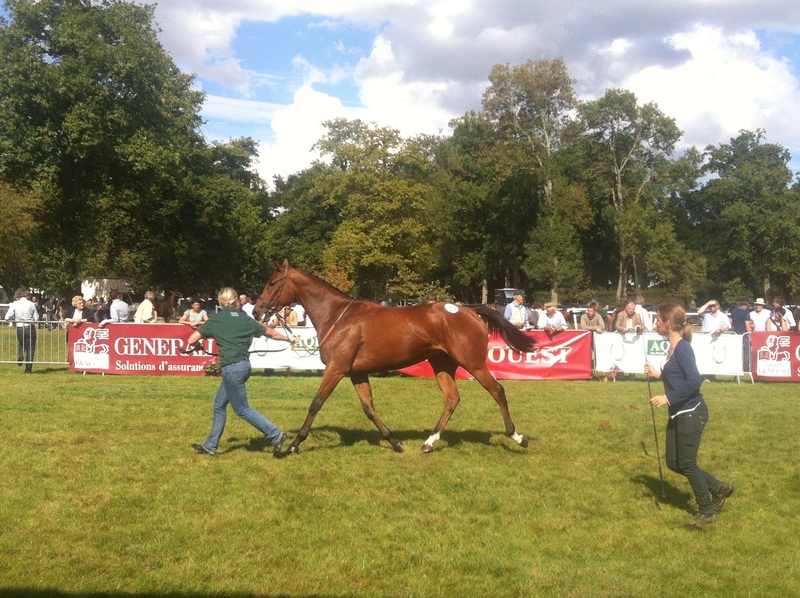 D’Angers, but much closer if you take in the Northern racetracks like Deauville or Auteil. Everywhere is a long way but thankfully there were Mcdonalds everywhere so Phil was happy. It was fantastic weather and so nice to spend three hot days away from the cooler weather here – just like being on holiday. 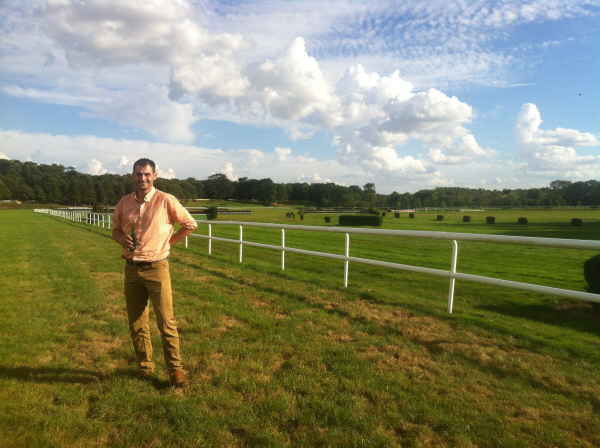 We are not suprised James Revely has made this his second home – he is now one of Guillame Macaire’s top jockeys and rides in all the big races over there. We also met Ferdy Murphy at the AQPS show – we both used to work for Ferdy – and he told us how much he was enjoying his move there. He trains a smaller number of horses at the Training centre at Senonnes which we visited and were most impressed by the facilities. This is an aerial view – any amount of all weather tracks of varying depth and a good turf track as well. It was set in beautiful countryside. We may not have any Cross Country horses in our yard at presentbut there is still a full programme for flat and hurdlers, and we hope to take advantage of it. 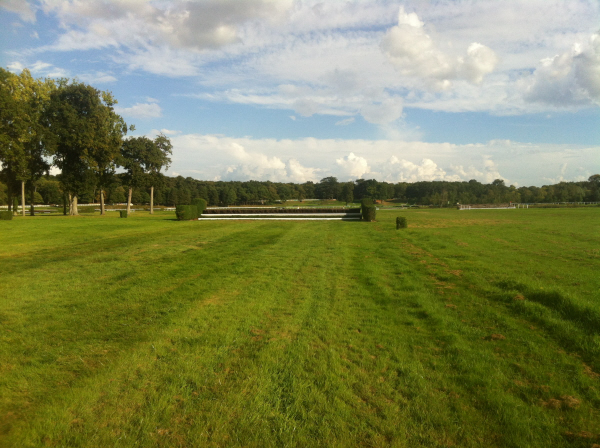 Below are some photos of the stunning track at Le lion D’Angers. 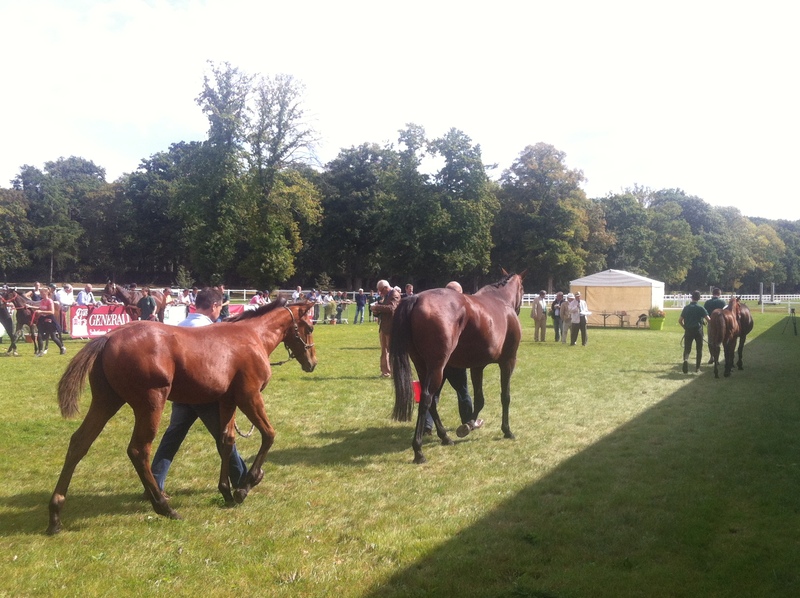 The stabling area was superb for horses and so professionally run. We were surprised to learn that France has over 250 racetracks and over 40% of European racetracks are in France.They are also hugely into their trotting and the days are often a mixed card of trot races/jumps races or trot/flat at the smaller provincial tracks. 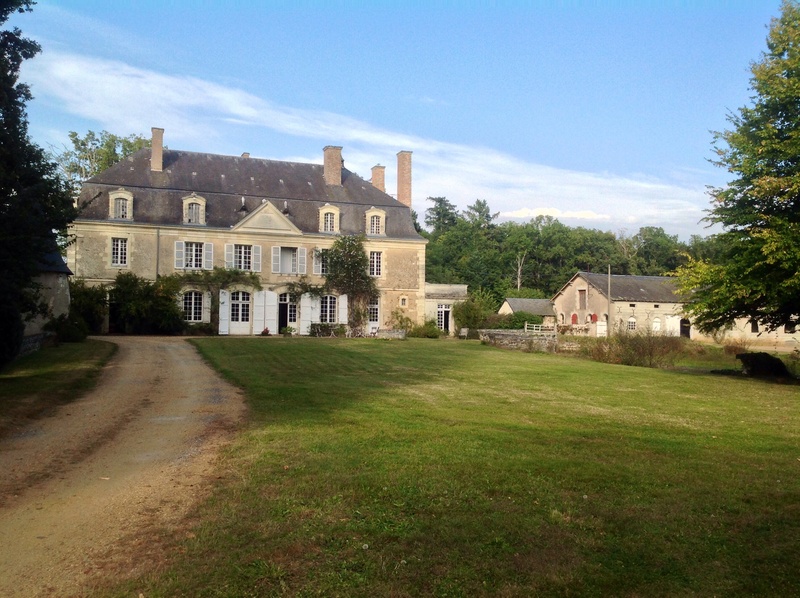 The Chateau we stayed at. This is the picturesque track at Nantes which is nearby. We are also interested in the challenge of ‘White Turf’ and to have a runner on the snow at St Moritz next Spring. Milton Harris won the big race there last year in great style and Mark Johnston often has runners. Julie Heneghan , our Travelling Head Girl has been there when she worked for Mark so knows all the ins and outs. Needed for the big race at St Moritz is a horse that stays a mile and half well, a good traveller, one that can make the running at there is plenty of kickback, and one that goes on all types of ground, preferably rated around 80 on the flat. Would any of you be interested to become part of a Partnership to buy such a horse (possibly an older horse out of a decent claimer) and take it to St Moritz for the three weeks (you generally run twice, 8th and 22nd of Feb- trial and final) and then later we could go on and run in France as well and try to pick up some good prize money? If we sold 10 shares at £2500 each (or 20 shares at half this) that would give us scope to buy a good horse and give us 6 months to run it, all foreign expenses in for this period. It would be a very exciting venture and great if you enjoy skiing too as the skiing is first class there. Email us on wakingned1@hotmail.com to register an interest. 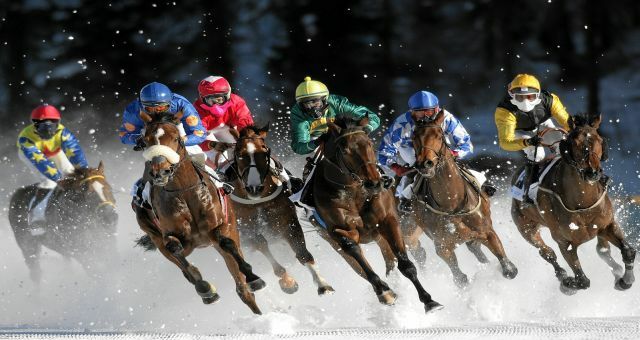 Click on this link below to read all about the St Moritz racing. We have been told the best way to get there is fly to Zurich and then take a train amidst amazing views right up to the town. This is an interesting piece to read about the ‘Crystal Cup’ a series of races throughout Europe – Balthazar King has been successful in these. We aren’t looking to run one in any of these but maybe in years to come.